McLain Ward and the late, great Sapphire won the 2009 CN $1 Million at Spruce Meadows. Leave it to McLain Ward to be generous and thoughtful. He is not only one of the greatest show jumping talents, but he is one of the greatest ambassadors of our sport. This is just another example. McLain donated championship coolers from some of his historic wins with Sapphire and other great horses from Castle Hill. Now you can bid to win one of these keepsakes from some of the greatest moments in American show jumping history with all funds going directly to one of our favorite charities, the Omega Horse Rescue Fund. The first treasure is the 2008 American Invitational championship cooler in the scarlet Budweiser colors, from his win with Sapphire. Second is the impressive 2009 Farnam Platform USEF Horse of the Year finalist cooler, awarded to the great “Sara,” the mighty Sapphire. That year, McLain and the powerful Belgian Warmblood mare won the $1million CN International Grand Prix at Spruce Meadows in Canada, the $250,000 FTI Grand Prix and World Cup Qualifier (Hampton Classic), the $400,000 FTI Finale Grand Prix CSI Five-Star (Winter Equestrian Festival) and the $100,000 Grand Prix of Devon. These two coolers hold special historical significance. Sapphire, McLain’s beloved partner passed away in 2014 and the American Invitational, first held in the old Tampa Stadium in 1973, has not been held since 2015. Now you can own a piece of history and help a great cause in the process. Both of these coolers are humbly modeled by my own horses, Eurostar and Lady Guinevere. Click here to place your bid. At August’s Silver Oak Show we raised thousands for Omega Horse Rescue. Tony Grossman, a part owner of Sapphire, bid and won McLain and Sapphire’s American Invitational Cooler during the show. 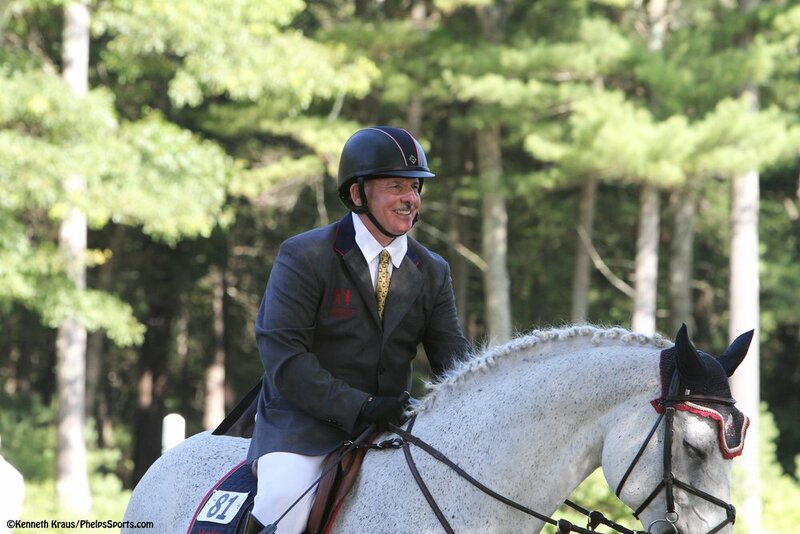 Follow Silver Oak Jumper Tournament on Facebook where we will announce the auction winners. We will add more auctions for McLain’s historical coolers, so stay tuned to our Facebook page. We’ll announce the winning bids twice monthly. Join McLain and me in promoting a great cause in a truly unique way. We thank to McLain for his generosity and making this auction possible. Founded by Jeff Papows, the goal is to provide the best in customer service and hospitality with utopian conditions for your equine athletes. It is designed at every turn to have a different feel than other shows. The competition has been consistently rated in the North American Riders Group (NARG) top twenty-five list for good reason.